It was the penultimate day of the year. We were in Athens, didn't really care much for shopping, couldn't possibly eat any more and decided to take advantage of the beautiful sunshine. A drive to the southern tip of the Athenian peninsula sounded like a good idea. The very tip is Cape Sounio. It's a historically charged spot, a nautical turning point that leads to the Aegean and a Athenian towny's daytrip escape. It's best seen at sunset, with the sun dipping straight into the sea. 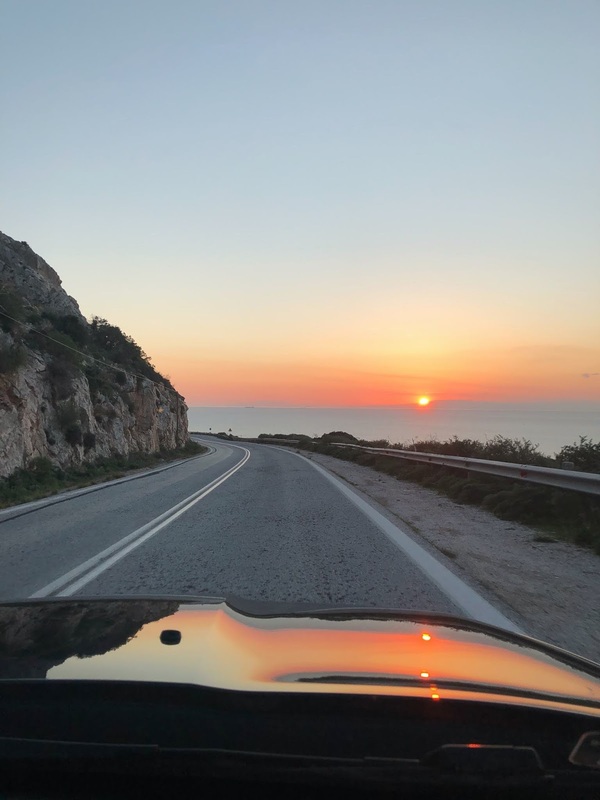 The drive from the centre of Athens takes about an hour and is mostly along the coast, so pick your tunes wisely, put your sunglasses on and drive down to the spectacular Temple of Poseidon. 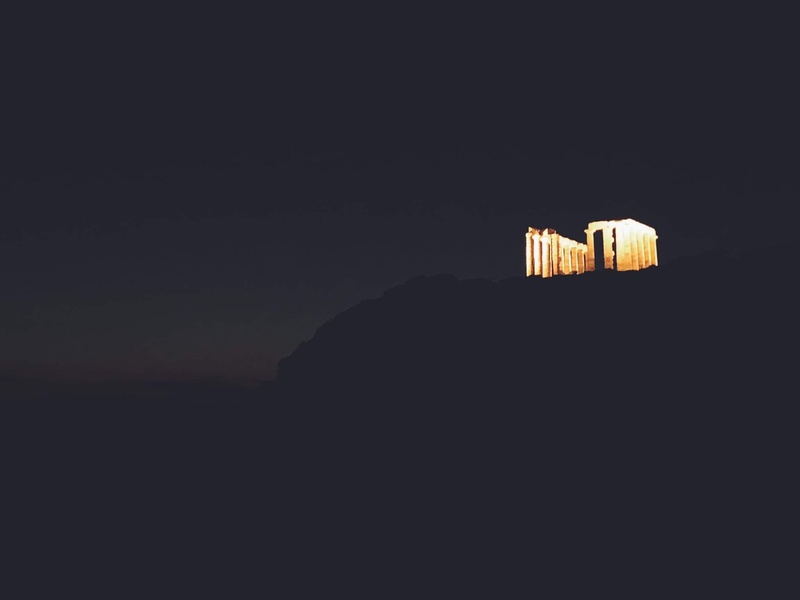 Think of the Parthenon, but with the Aegean as a backdrop. There, got your attention! 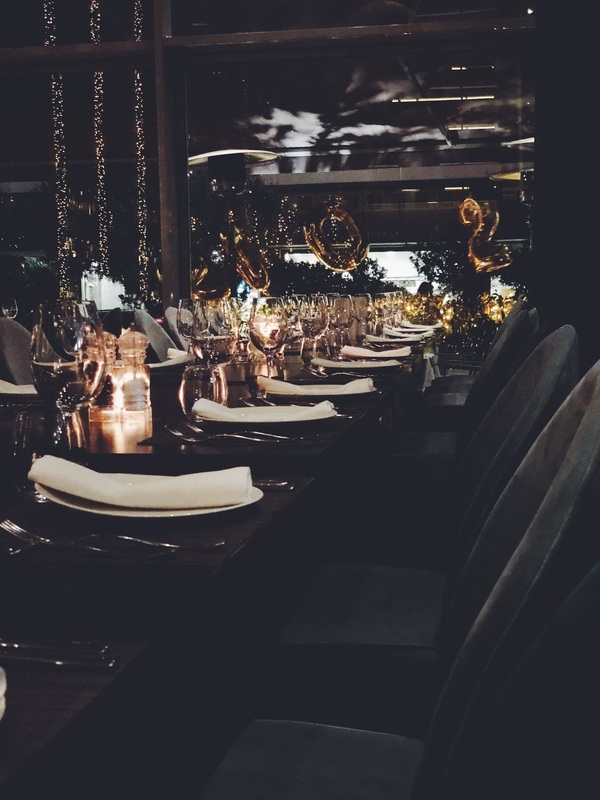 First the drive took us through some of Athen's elegant southern suburbs, dotted with poshy-woshy restaurants, cafees and nightclubs. Island, 'the' summer destination for every Athenian, is on the way and if you fancy a spot of lunch on you way to Sounio, or if you fancy a boogie on your way back pop in, it's good fun. Further on, the road curves in and out of little natural ports, little bays with beaches that provide a great pit-stop in the summer, for a quick swim. They are left untouched, tranquil and easy-going, lay out your towel and go for a dip. One of Athens's suburbs, made popular in 60's Greek movies, is Lagonissi, or 'rabbit island' if translated accurately. On yet another tiny peninsula you'll find Grand Resort Lagonissi, with a gorgeous view of the Saronic Gulf from its lounge bar Veranda. In the evening, on our way back, we stopped for dinner at Glyfada's buzzing 'centre off the centre'. Glyfada is the congregation spot for the 'southern suburbs'. 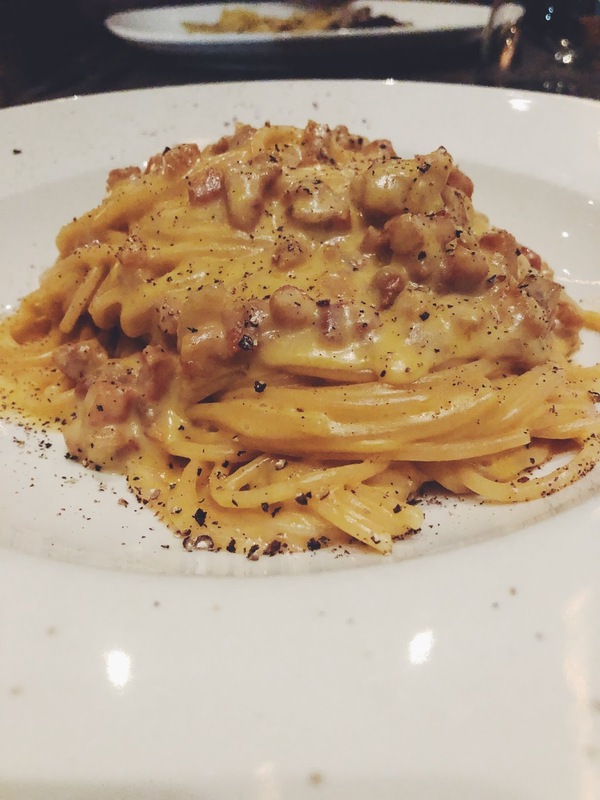 We went for glorious Italian pasta and chunks of matured parmigiano with truffle-honey at Nomi, a roomy, sleek restaurant that was pleasantly filled with extended families getting together, bringing along kiddies and toddlers. I love this about Greece. Kids are included at dinner time from a young age, so eating out becomes part of the routine and they even want to be part of the conversation around the table. The thought always makes me smile. 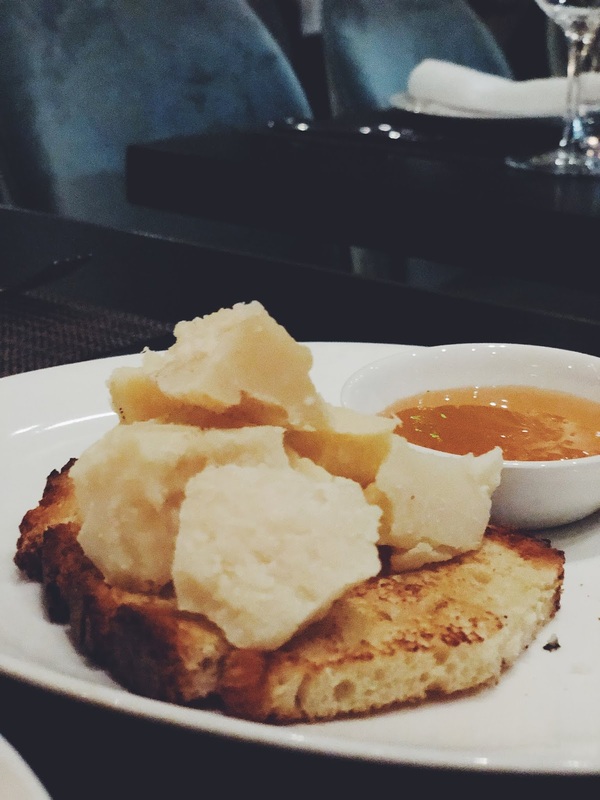 Matured parmigiano with truffle-honey, de-li-cious! 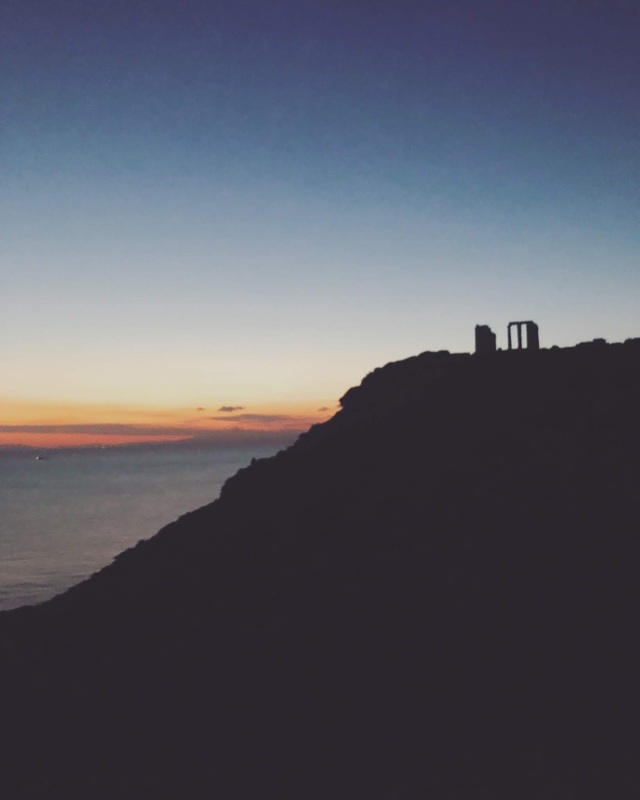 We were late for the sunset in Sounio. We caught it driving around the coast though. 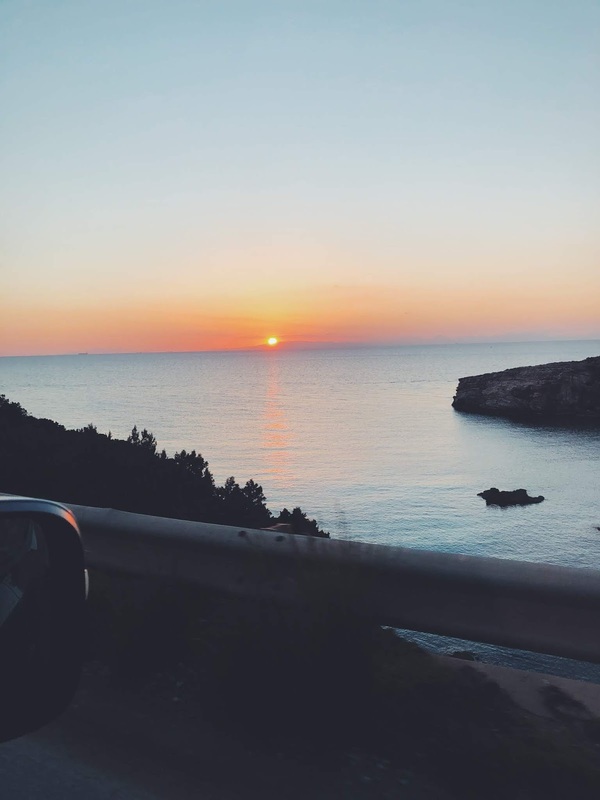 We caught different angles of it every time we drove in and out of the little natural bays, the colours warmer and warmer, the sun closer and closer to the surface of the sea in the horizon. As we were getting closer to Cape Sounio, cars were already on their way back. We kept going. As we arrived and run up the hill to the entrance of the archaeological site, they were closing. They didn't let us in but we stayed. 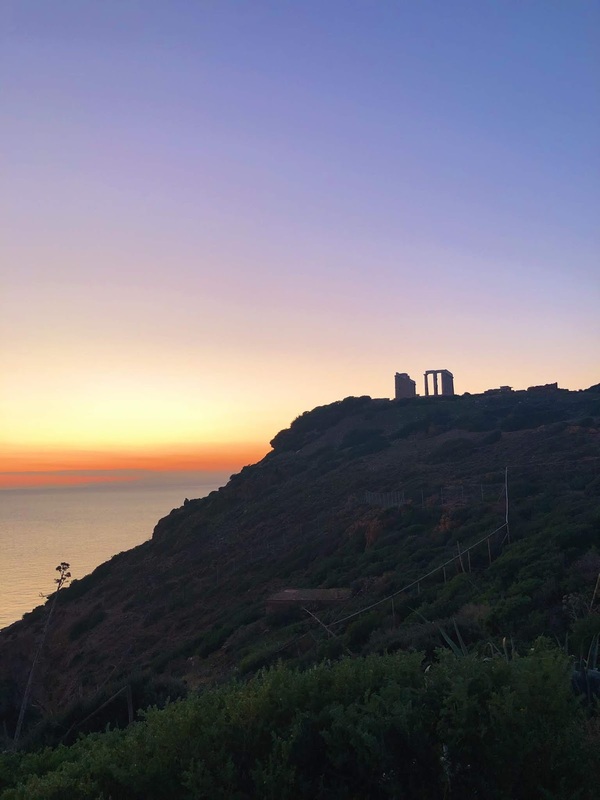 We caught the twilight, over the Saronic Gulf, shades of purple slowly dropping behind the Temple of Poseidon. We stayed when deep purple turned to deep blue and stars made their appearance, and then the Temple of Poseidon was lit up! What a sight! 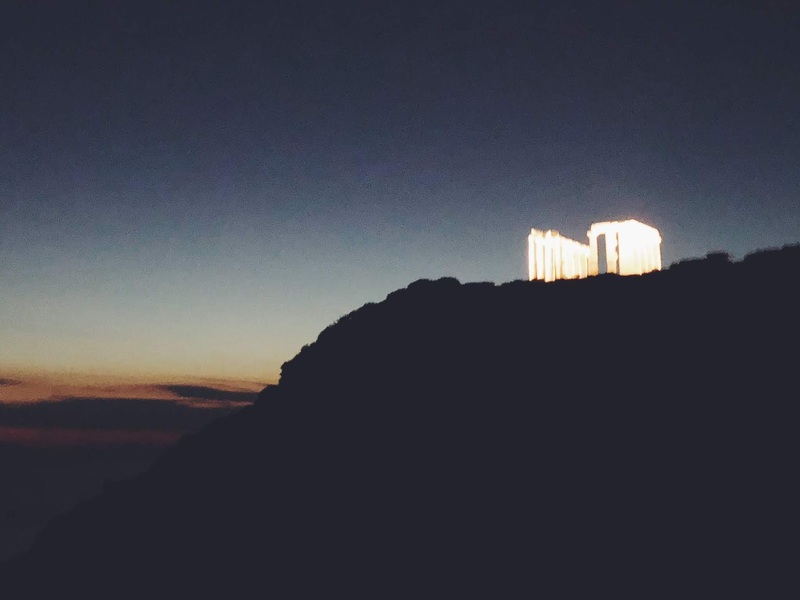 The Doric columns rising up in the darkness, glowing marble, a truly awe-aspiring sight. How Theseus on his way back from Crete, forgot to change the sails from black to white, to signal his father King Aegeus, who was waiting for his return at Cape Sounio, that he had killed the Minotaur. And how Aegeus, Theseus's father, threw himself off Cape Sounio in grief, thinking that his son had been eaten by the Minotaur, naming the Aegean Sea henceforth.